While many of the requirements are quite similar for all music students, each student's age, personality, learning style, ability level, dedication and ambition can vary greatly. As a teacher who is sensitive to these variables, I consciously design every lesson to inform, evaluate, and inspire in a manner that results in the student doing his very best during each day of home practice. Over the years, the students who have achieved the most during private study have been the same students who practiced the most. Home practice is absolutely essential when learning to play an instrument. As I often tell students, the more you practice, the better you will become on your instrument. 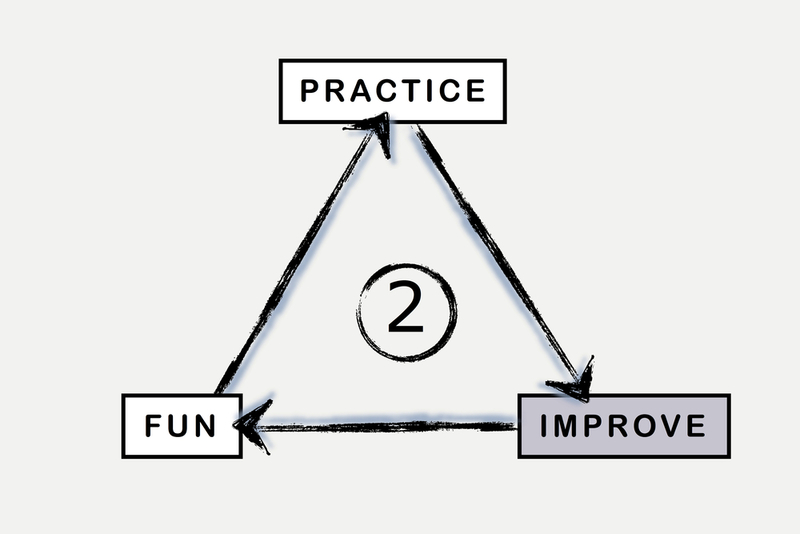 As you improve, you'll have more fun. Which, in turn, will make you want to practice. You'll get even better, and have even more fun, which will make you want to practice, and get better and have fun so you practice, etc., etc. My greatest hope is that everyone who participates in lessons will go on to enjoy an enriched lifetime of music-making and appreciation–on any level. While I would love to see every music student attain the highest level of proficiency, I realize for some, music education is a valuable extracurricular activity rather than intense, knuckle-rapping training in preparation for a musical vocation. However, an investment in music education can manifest in many different shapes and sizes: mastering an instrument, moving up a chair in band, participating in college ensembles, staying in the theater after a movie to read the music credits, attending symphonic concerts in the world's major cities, practicing for pleasure straight through one's golden years.